During this morning deliberation, the Deputy Prime Minister Semisi Sika presented the report after they delivered the reply to the address from the throne. He says His Majesty’s stressed the importance to assist those who were affected by cyclone Gita, address the growing numbers of drugs abuse in Tonga and to uplift the level of education and healthy living in the country. 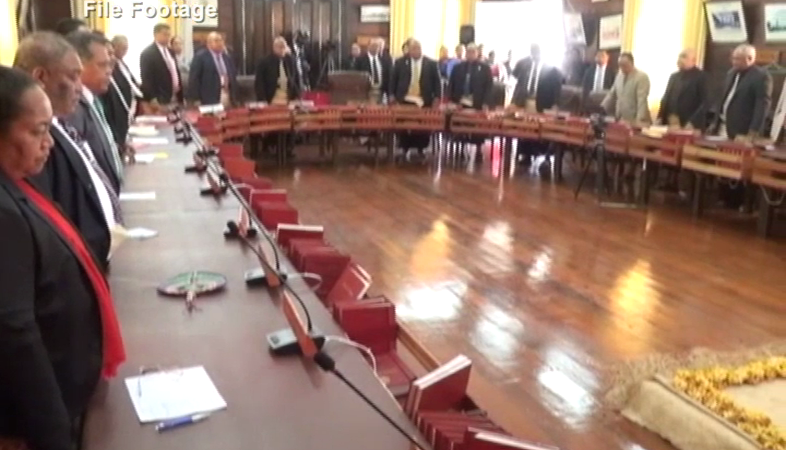 One of the issues raised during the deliberation include the petition to impeach seven cabinet ministers. The petition claimed that these ministers misuse public funds in 2015-2018. The Hon. Prime Minister ‘Akilisi Pohiva requested if they could delay the discussion on the petition and to focus on the Budget Estimates. However, Vava’u 15 MP Samiu Vaipulu entreated for the petition to be read out in Parliament. Some supported the idea while some were against it. The Speaker of Parliament ruled to read out the petition in Parliament. The petition was against the former Minister of Education and Training ‘Akilisi Pohiva, Minister for Tourism and Infrastructure Semisi Sika, the current Minister of Education and Training Penisimani Fifita, Minister of Justice Vuna Fa’otusia, Minister of Labour Tu’i Uata, Minister of Police Mateni Tapueluelu and Minister of Finance Pohiva Tu’i’onetoa. The house noted the petition made against these cabinet ministers before they moved on to discuss the Budget Estimates.